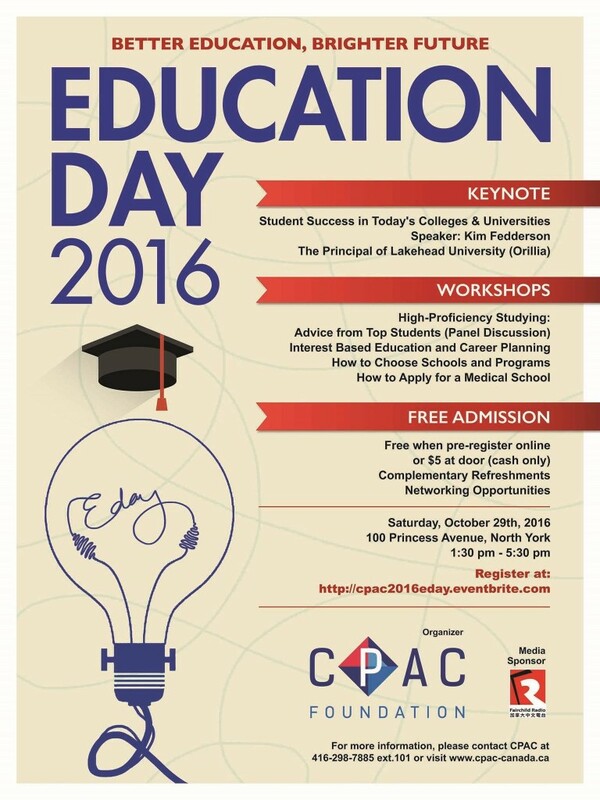 CPAC Foundation will present the 9th annual CPAC Education Day, to be held on Saturday, October 29th, 2016 at Secondary School in North York. This free event is open to all parents and students. CPAC Education Day helps immigrant families understand the Canadian education system and prepare their children for their academic and career future. The event provides parents with information that can help their children with making informed decisions on their educational future through expert advice of those in the field. Principal Kim Fedderson of Lakehead University’s Orillia Campus will deliver the keynote presentation entitled, “Student Success in Today’s Colleges and Universities.” He will explore the changing post-secondary environment and what parents and students can do to promote student success. 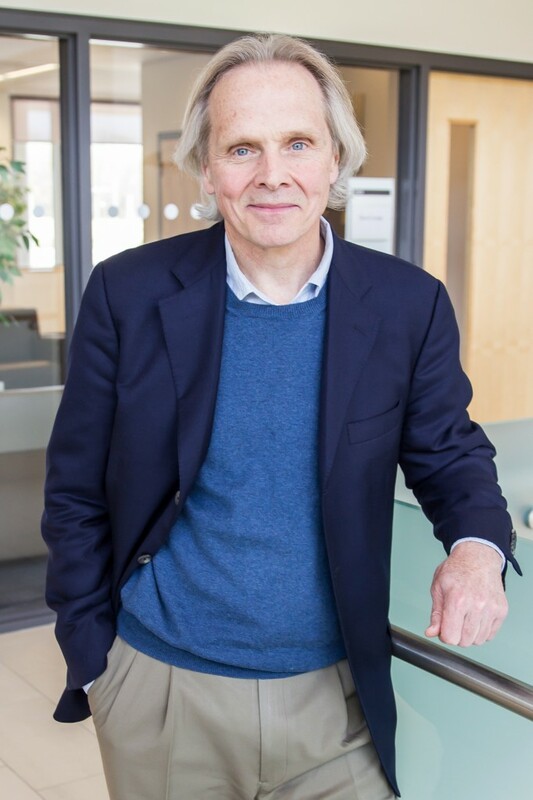 Dr. Fedderson has served as Lakehead Orillia’s Principal since the school’s opening and has over 30 years experience as a professor and university and college administrator. His research work is focused on post-secondary pedagogy and cultural studies. Speaker: Shouyi Ma, CEO and Principal at Hanson Canada. He is a graduate of both Liaoning University and University of Toronto – Rotman School of Management and has won the Chinese Excellence Award – 2015 Person of the year. Speaker: Becky Robinson, Career Counsellor at Centennial College’s Career Services & Co-operative Education. She holds a Master of Counselling degree and a Career Development Practitioner certificate. CPAC Education Day is a conference and exhibition where many colleges, universities and education-related service providers will be present, offering ample opportunities for participants to learn everything they want to know about Canadian education. Those schools and institutions have confirmed their attendance for now: University of Waterloo, University of Windsor, Trent University, Lakehead University, Brock University, University of Guelph, George Brown College, Centennial College, Conestoga College, Hanson International Academy, Global Education Group Inc., Ace Acumen Academy, De La Salle College “Oaklands”, Toronto Education Research Association, and CPA Ontario. “Since its inception eight years ago, this event has provided information, guidance and inspiration to tens of thousands of students and parents,” said Richard Lim, President of CPAC Foundation. Education Day 2016 is open to the public. Pre-register online for free entry ($5 entry fee for walk-ins at the door). Light refreshments provided.